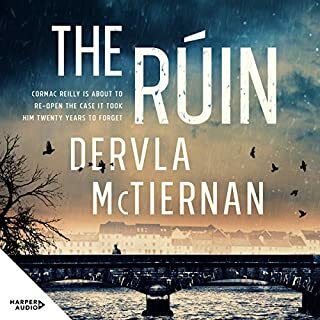 A gripping blend of family mystery, contemporary stories and the beautiful and bloody Viking tales, set against the starkly stunning landscape of Iceland. Broadcaster Richard Fidler and author Kari Gíslason are good friends. 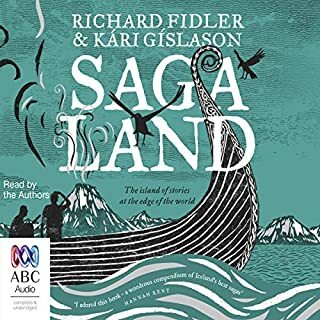 They share a deep attachment to the sagas of Iceland - the true stories of the first Viking families who settled on that remote island in the Middle Ages. These are tales of blood feuds, of dangerous women and people who are compelled to kill the ones they love the most. At the conclusion of the American Revolution, half the modern United States was part of the vast Spanish Empire. The year after Columbus' great voyage of discovery, in 1492, he claimed Puerto Rico and the Virgin Islands for Spain. 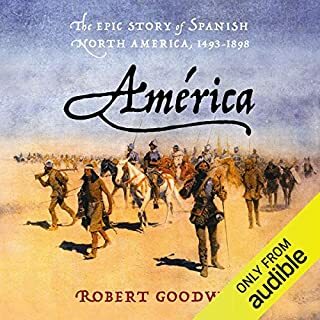 For the next 300 years, thousands of proud Spanish conquistadors and their largely forgotten Mexican allies went in search of glory and riches from Florida to California. Many died; few triumphed. Some were cruel; some were curious; some were kind. Missionaries and priests yearned to harvest Indian souls for God through baptism and Christian teaching. 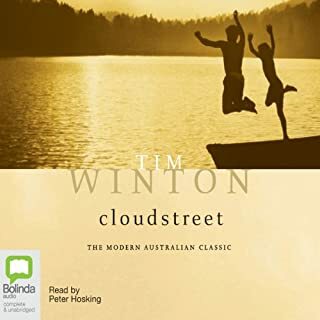 Two rural families flee to the city and find themselves sharing a great, breathing, shuddering joint called Cloudstreet, where they begin their lives from scratch. For 20 years they roister and rankle, laugh and curse until the roof over their heads becomes a home for their hearts. A moment of literary genius! The iconic Australian exploration story - brought to life by Peter FitzSimons, Australia's storyteller. 'They have left here today!' he calls to the others. When King puts his hand down above the ashes of the fire, it is to find it still hot. There is even a tiny flame flickering from the end of one log. They must have left just hours ago. Melbourne, 20 August 1860. 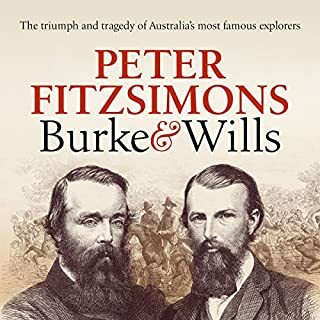 In an ambitious quest to be the first Europeans to cross the harsh Australian continent, the Victorian Exploring Expedition sets off, with 15,000 well-wishers cheering them on. A remarkable Experience. Fantastic Performance. The Battle of Le Hamel on 4 July 1918 was an Allied triumph and strategically very important in the closing stages of WWI. A largely Australian force, commanded by the brilliant Sir John Monash, fought what has been described as the first modern battle - where infantry, tanks, artillery and planes operated together as a coordinated force. Monash planned every detail meticulously, with nothing left to chance. 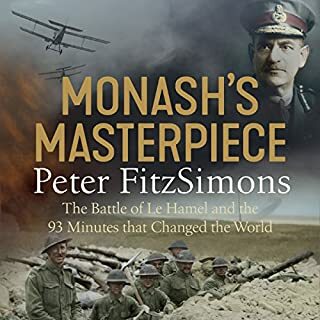 Peter FitzSimons brings this Allied triumph to life and tells this magnificent story as it should be told. 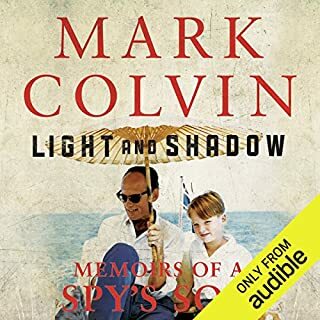 Mark Colvin is a broadcasting legend. 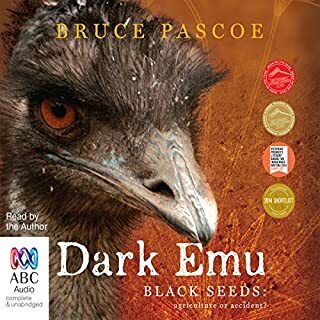 He is the voice of ABC Radio’s leading current affairs program PM; he was a founding broadcaster for the groundbreaking youth station Double J; he initiated The World Today program; and he’s one of the most popular and influential journalists in the twittersphere. Mark has been covering local and global events for more than four decades. He has reported on wars, royal weddings and everything in between. In the midst of all this he discovered that his father was an MI6 spy. In 2014, Richard Fidler and his son Joe made a journey to Istanbul. 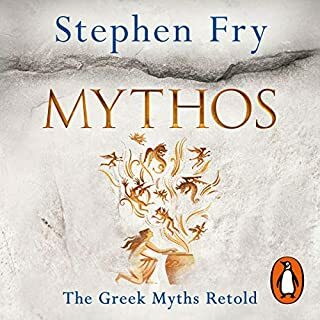 Fired by Richard's passion for the rich history of the dazzling Byzantine Empire - centred around the legendary Constantinople - we are swept into some of the most extraordinary tales in history. The clash of civilisations, the fall of empires, the rise of Christianity, revenge, lust, murder. 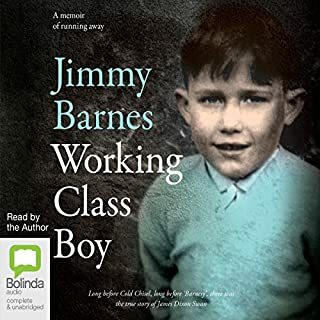 Turbulent stories from the past are brought vividly to life at the same time as a father navigates the unfolding changes in his relationship with his son. Ghost Empire is a revelation: a beautifully told ode to a lost civilisation, and a warmly observed father-son adventure far from home. We travelled through Turkey for 6 weeks in May/June 2013 with our 2 boys aged 15 & 13, it is a magical place with so much history and beauty.I wish I had of had this book before we went to Turkey , to understand a more in depth history of the place.The only thing I really knew about Turkey was about Gallipoli and our Anzacs.It blew me away how rich and interesting the history of Turkey is (I did modern history in high school which I loved, but now wish I had done ancient as well) , Richard and Joe's visit had many similarities to ours and I thoroughly enjoyed the interwoven history.Richards calm tone makes it a very easy to listen to audiobook.I am going to buy the hardback copy as well just to have it in my library. This book took me back to Beautiful Turkey and back to Byzantium. Once into this reading, I could barely stop listening. Richard Fidler has written and read superbly. I enjoyed this journey a lot- enlightening historical anecdotes and numerous intimate moments between father and son. A brilliantly written title and performed so perfectly by the author. There is nothing better than hearing stories the way in which they were intended to be heard. Places the listener into the perspective of the times. I found myself willing this ongoing line of Emperors to "get a clue", but the history is fixed with all the human flaws. 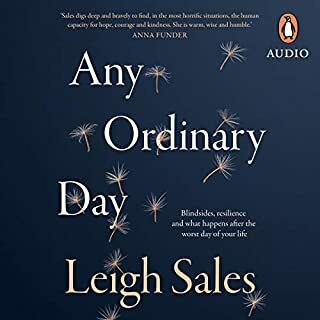 I absolutely loved this book and would recommend it to anyone! 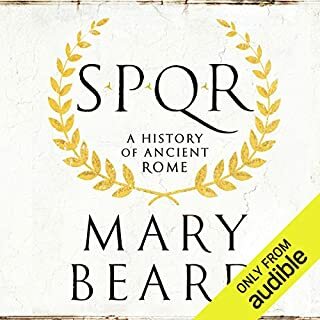 Beautifully told this book gives a brilliant account of the Roman Empire's stint in Constantinople post Rome. Intertwined with a very personal account of the contemporary iteration of Istanbul this book will make you want to visit and provide you with some remarkable accounts of this fascinating juncture in human history. This is now my favourite book. The book is well written and narrated well. Good to learn the history of that time. Its incredibly refreshing to hear history read by a fellow Australian rather than a stuffy blue blood brit. loved the way the story weaved exploring modern istanbul with the relevant history. 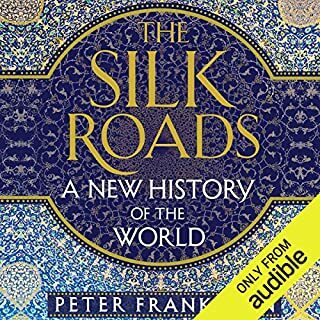 One of the most engaging histories i’ve listened too or read. 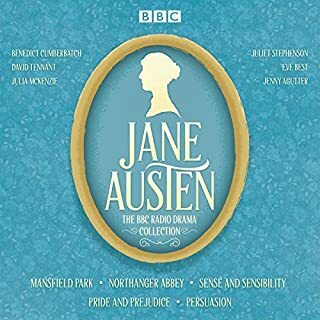 A truly fantastic journey through the past and present. Leaves you with a strange sense that you have actually travelled to these places and times in history, but also with the desire to go to Istanbul to see these wonders with your own eyes. What did you love best about Ghost Empire? Well written and read by Richard Fidler. 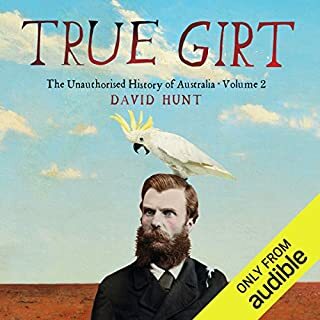 A fascinating history of a strategic, important city, inhabited and fought for by diverse cultures. It is such a pity that Constantinople and Byzantine are pronounced with incorrect emphasis. As they occur frequently it becomes annoying. 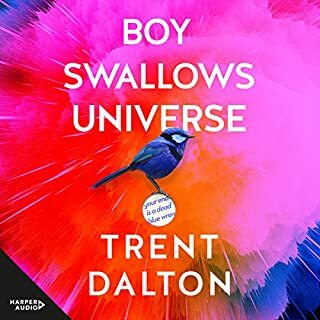 I was very much looking forward to this book - very, very much - but the outdated gender philosophies around father/son relationships and the narrator's dull and charmless delivery made it impossible to get through chapter one. I'm going to try again in hard copy. Maybe. Very much enjoyed the exploration of an old city. The movement between the contemporary and the past was presented in a way that pulls you in. I have wanted to do something similar but Erdogan and the occasional crack downs give me pause. As does all the rest of the regional chaos. The trip to Roman ruins is on the list and this book upped the desire factor. Interesting history of Byzantium combined with a travelogue of Istanbul and Rome. The author is an excellent and captivating storyteller with a great ability to weave a complicated yet easy to follow story. His depiction of the Fourth Crusade is probably the best I've heard and truly captures pointless tragedy of the affair. He doesn't dive into as great of detail on some issues that other histories cover, namely the theological disputes, but that is probably for the better in keeping the story moving. Definitely recommend. The journalist Fidler does a really wonderful and entertaining presentation both in content and narration. Like an excellent song sung by the songwriter, Fidler imparts emotion at the level the text demands. There may be new things for Byzantine history buffs but mostly is is enjoyable the way he put it together. Everyone who loves history whether you care for Byzantine history or not should listen. It will grab you from the start. 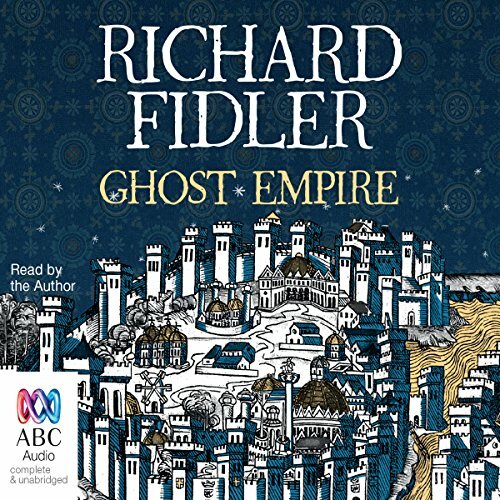 Richard Fidler is such a compelling narrator. his enthusiasm for the story behind this fascinating place is infectious. 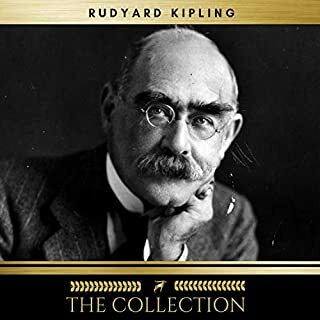 A well written and well narrated book which brought history to life with a breath of fresh air and a father and son rite of passage. 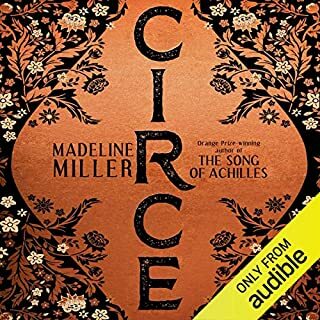 Absolutely loved it and highly recommend.